Awards & Recognition for Wm Prager Ltd, Custom Store Fixtures and Displays, Merchandisers, Retail Design, Retail Shelving Units, Retail Store Installations in Toronto, Retail Store Projects and Installations, Wm Prager Ltd Staff in Action! 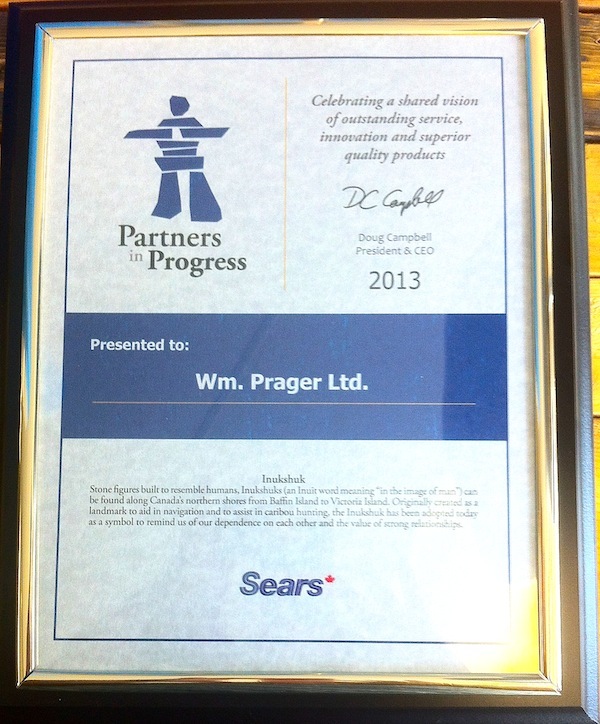 Partners in Progress award from Sears for outstanding service, and superior quality products! Way to go Kevin Hubert!